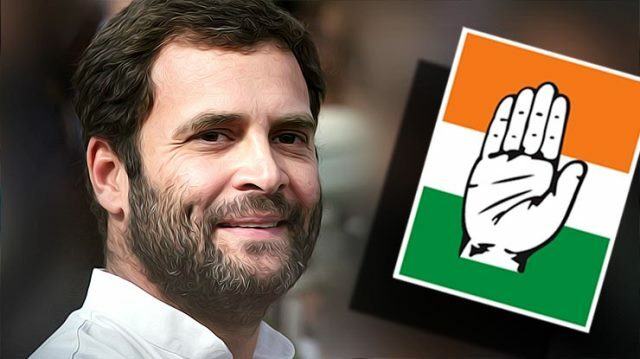 New Delhi: Celebrations began in the Congress headquarters here as the party Congress surged ahead in Rajasthan and Chhattisgarh and also gave a tough fight in Madhya Pradesh. As soon as the latest counting trends indicating a Congress victory in Rajasthan and Chhattisagarh poured in, a wave of celebrations began at the Congress headquarters with a large number of party workers gathering outside the AICC office at 24 Akbar Road. Jubiliant party workers were seen greeting each other and were bursting crackers as mark of party's good show.They were also showing victory sign. A large number of party workers are converging at the party office to congratulate the Congress president for the party's good show in the Assembly polls.Latest trends of counting for the assembly polls showed the Congress gaining a huge lead over the BJP in Rajasthan and Chhattisgarh while giving a tough fight to the saffron party in Madhya Pradesh.